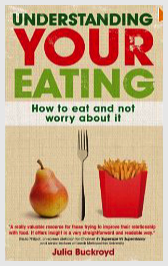 (2011) ‘Understanding your Eating: How to eat and not worry about it’. Milton Keynes, Open University Press. (2008) with Sharon Rother ‘Psychological Responses to Eating Disorders and Obesity’ Chichester, George Wiley & Sons Ltd.
(2001) ‘The Student Dancer: emotional aspects of the teaching and learning of dance. London, Dance Books. Simultaneous publication USA and Canada: Princeton Book Company and Australia: Astam Books, PTY. (2009) with Janet Biglari and Sevim Mustafa, ‘Poor psychological health and a history of abuse, in bariatric surgery candidates: levels of pathology in the UK’. Journal of Metabolic Surgery and Allied Care 19 (8) 955. (2007) with George Green ‘Disordered eating cognitions and behaviours among slimming competition winners’, Journal of Human Nutrition and Dietetics 21 (1) 31-8. (2006) with Sharon Rother and David Stott ‘Weight loss as a primary objective of therapeutic groups for obese women: two preliminary studies’. British Journal of Guidance and Counselling 34(2) 244-65. (2006) with Deborah Seamoore and Dave Stott ‘Changes in eating behaviour following group therapy for women who binge eat: a pilot study’ Journal of Psychiatric and Mental Health Nursing. 13, 337-346. (2005) with Sarah Barnett and Karen Windle, ‘Eating disorders from parent to child: Mothers’ perceptions of transgenerational effect’ Counselling and Psychotherapy Research 5(3), 203-211. (2005) with Jacqueline Bidgood, ‘An exploration of obese adults’ experience of attempting to lose weight and to maintain a reduced weight’, Counselling and Psychotherapy Research 5(3), 221-229. (2005) with Sarah Barnett ‘Using Group Therapy to Support Eating Disordered Mothers with their Children: the relevance for primary care’. Primary Healthcare Research and Development. 7 (1), 39-49. (2004) with Sharon Rother, ‘Experience of Service Provision for Adolescents with Eating Disorders’. Primary Health Care: Research and Development, 5(2) 153-161. (2001) ‘The application of psychodynamic ideas to professional dance training’, Psychodynamic Counselling, 7(1) 27-40. (1994) ‘Eating disorders as psychosomatic illness: the implications for treatment’, Psychodynamic Counselling, 1,1, 106-18. (2011) ‘Dance Training: what is it for and what are its values’. Paper presented to the Confluences 6 Conference, Department of Dance, Cape Town University, Cape Town, July 2011. (2009) ‘Poor psychological health and a history of abuse, in bariatric surgery candidates: levels of pathology in the UK’. Paper presented to the International Federation for the Surgery of Obesity. Paris, August 2009. (2007) ‘Alternative discourses in the treatment of a 34 stone teenager’. Paper presented to Wellcome Foundation/ University of Cambridge Obesity conference, 20 September. (2003) ‘The implications of research into group therapy for obese women’ Paper presented to the Cutting Edge Conference, University of Hertfordshire, July. (2003) ‘The use of therapeutic groups for women who are obese’. Paper presented to Hertfordshire NHS Symposium, May. (2002) ‘Psychological strategies for the treatment of obesity in women’. Paper given to the Hertnet Conference, University of Hertfordshire, June. (1990) ‘Eating disorders’. Paper given to the Dance UK, Healthier Dancer Conference, Royal Opera House, London, July. Published in Papers from the Healthier Dancer Conference (1991) London: Laban Centre, 34-6.